Slovenian folk metallers Brezno from Ljubljana are revealing the first details of their debut full-length album entitled “Kri” (”Blood” in English), which will be self-released on the 21st of November 2014. Brezno were formed back in 2007 and released their first demo EP “Viharnik” in 2010. With some new members in their ranks, the band started the recordings of its first album in 2012. After two years of hard work and dedication, they recorded and produced 12 songs on their own. The physical copies of the record will also feature an English translation of all the lyrics. 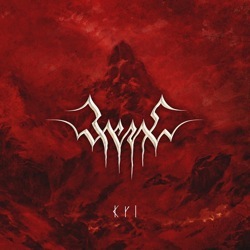 Brezno have already revealed “Kri” tracklist and unveiled its cover artwork.